One of the fondest memories of my childhood is the taste of olive oil. The “snack” of the poverty stricken Greek children was a slice of bread covered with a thin layer of olive oil and dusted with oregano and salt. Things have changed a lot since the ‘60s but olive oil remains one of the favourite elements of all Greek recipes and with good reason. A simple tomato salad acquires special nutritional value – leave alone the exquisite taste…- by the simple addition of olive oil and a sprinkle of oregano. The richer we Greeks got the more we forgot the elements that give our tradition a special place: simplicity and austerity. Traditional recipes became repulsive to the young (they are always the least spoiled) because they were drenched in olive oil. Junk food peacefully invaded our society and like all novelties became fashionable. The trend is receding and greek people and especially the Greek youth are going back to their roots and re-discovering how tasty and filling the original food stuffs can be. I have successfully replaced butter with olive oil in many recipes thus reducing their calorie count as well. I do not know how easy it is to get Greek olive oil abroad but I suppose you can find out. Try it with some of your recipes and you will remember my words. 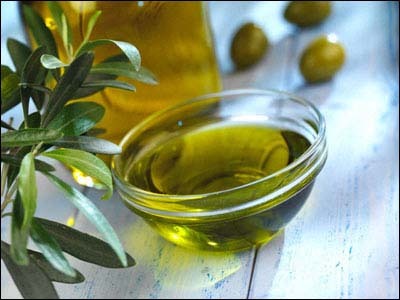 Apparently, the best is being exported but look out for the word” Virgin olive oil” – the cold pressed one is the best. At 11 o’clock today more than100.000 Greek working people gathered outside the General Confederation of Greek Workers Offices to protest against the government’s harsh austerity measures. This spot is very close to the Ypatia building which houses the immigrant hunger strikers and hundreds of people used the opportunity to sign the solidarity appeal and contribute to the fund. It was very touching to read the messages written by resistance veterans. After speeches by unionists of both the private and public sectors the rally started to march towards Constitution Square and the Parliament. About 12.30 we heard loud shots but it proved to be tear gas. In Constitution Square the protesters are sprayed mercilessly and were forced to retreat. The majority of the people left but there are still calls through the internet and the bloggers’ community to return to Constitution Square for an evening assembly. Getting ready to go to the protest spot (Pedion Areos at 11.00) I realised the extent of the strike: all tv channels, state and private, have no news reports since the journalists’ union takes part in the strike. TRANSPORT: no blue buses, no trolley buses all day. The train is working from 9 to 17.00. The Metro and the tramway operate normally. BUSINESS not as usual: no banks, no hospitals (except for emergencies), several chain stores will be closed, no schools. For those not protesting it would be better to keep away from the center today to avoid useless trouble. The general strike called tomorrow by the General Confederation of Greek workers – GSEE (private sector) in cooperation with the public sector employees is expected to have a large attendance. “We react to the “chains” of the Memorandum and the money lending sharks as well as to the “competitiveness agreement” planned in order to broaden the recession, the unemployment, the poverty and the degradation (of the working people) to the benefit of the industrialists and the bankers. We demand the application of a mixed economic policy that will strengthen employment, income, social and labour rights, social cohesion. The international solidarity expressed to the 300 immigrant workers on hunger strike in Athens centre is really impressive, increasing and heart warming.